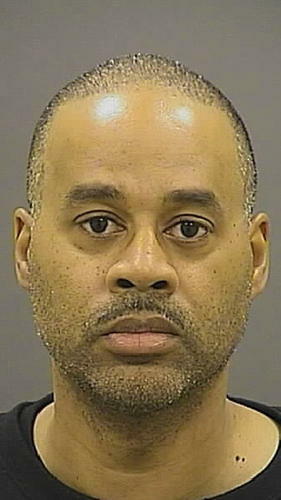 Officer Caesar Goodson Jr. leaving trial hearing at University of Baltimore. NATHAN: The hearing panel left the room yesterday without a verdict, so will they be releasing that information today? DOMINIQUE: We hope! The panel is not calling the attorneys back today to deliver their verdict, but they said they will be contacting attorneys to deliver their decision. After recessing at 2pm yesterday, they have 21 charges to view, at least 40 pieces of evidence, and approximately 20 witness testimonies to get through in order to fully make their decision. I was informed yesterday by City Solicitor Andre Davis that the verdict would be made public. So it is unclear as to how the verdict will be announced because as we know this is the first time these trial boards are public. NATHAN: Closing arguments were delivered on behalf of the police department and Goodson’s lawyer—in a nutshell—can you give us what they addressed? I know they were very long winded. DOMINIQUE: Neil Duke on behalf of the department ended the way he began his opening argument by stating Goodson failed in his duty to seatbelt Gray, his responsibility to get medical attention for Gray when requested, and his integrity by passing the blame to other officers, the department, and its policies. Thomas Tompsett, on behalf of Goodson turned the tables on Duke—using an analogy—that Duke was driving the wagon and everyone else is along for the ride in that he had a burden of proof to present the evidence in which—Tompsett says—he fails at doing. Again we hear the defense sighting exculpatory evidence that wasn’t given to them, an incomplete investigation on behalf of the Montgomery County police, and holding onto and charging Goodson with policies that were not communicated to any of the officers before or on the day of the incident. To the whole wagon analogy one member of the city law department said it was the most inappropriate closing argument they had ever heard and that had it happened in circuit court, the lawyer would have been reprimanded by a judge. NATHAN: Can you break down the charges Goodson has against him currently? DOMINIQUE: There are 22 charges against him. 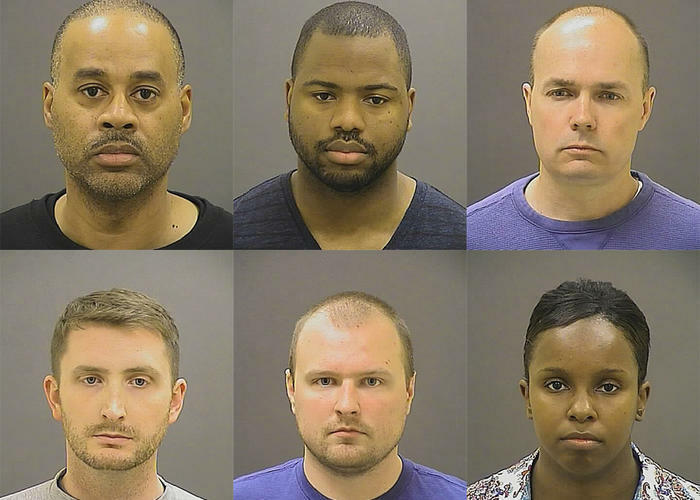 13 of those charges are for violating policy C-2 or neglect of duty and efficiency under police policy. 5 of those charges—which the defense argued should be thrown out—are under the policy that determined detainee safety, seat belting, and requests to seek medical assistance. As we already know the policy was not communicated to Goodson or any of the other officers prior to or on that day. Finally, 4 of those charges are under policy D-4 which is Goodson’s failure to document the stops he made that day while writing them in his activity log. The department did throughout one of the last 4 charges because Goodson did provide documentation for that particular part of his day at the Western District. NATHAN: After the verdict is handed down, who is in charge of assigning the punishment? DOMINIQUE: So once the verdict is handed down, it is then up to the discretion of Police Commissioner Kevin Davis to determine the punishment. And as we already know this decision will remain private on behalf of the department. However, we will know if Goodson is fired because he will not show up on city payroll. NATHAN: And, next Monday we will begin the hearing for Lt. Brian Rice correct? DOMINIQUE: Yes Lt. Brian Rice was the commanding officer on duty the day of the incident in the Western District he has similar charges of neglect of duty and misconduct.